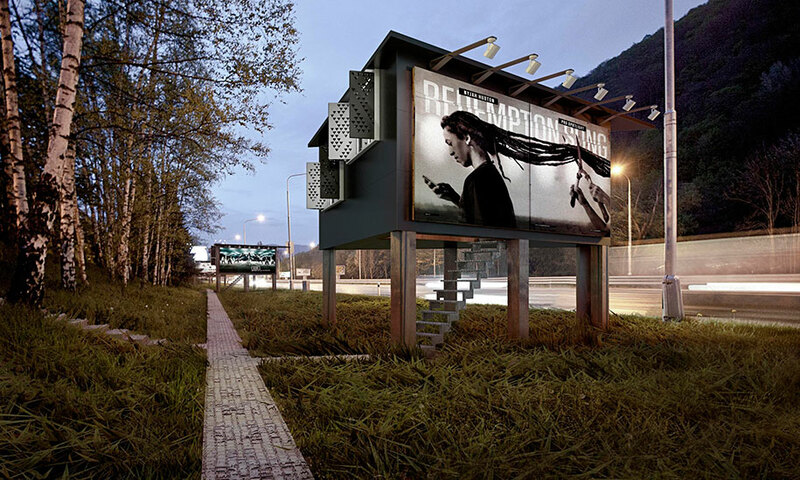 A Mini Billboard Suite, For The Homeless. A Mini Billboard Penthouse? Yes Please! These billboards are no ordinary structures, with just a face and advertisement print upon them. These are little homes for the homeless people to stay off the streets. One anonymous man behind what is being referred to as the Project Gregory in Slovakia decided to re-purpous the roadside billboards and extend them into economical houses for the homeless! 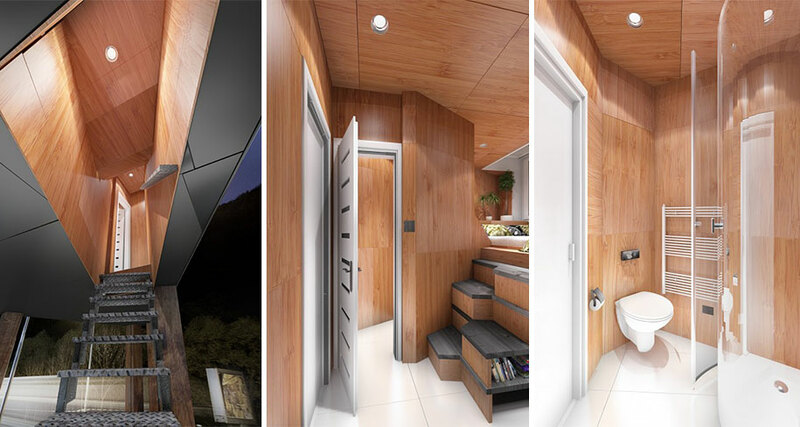 This is still a concept, so digital visualisations are provided, which feature these stylish little homes as triangular in shape and each of them feature a living area, a bathroom, kitchen, desk and bed. The billboard homes by architecture team DesignDevelop would take place in accommodated areas for the electricity, plumbing and water facilities to be at hand. These homes would be for the homeless people to at least have some sort of housing, while the actual structure serves an economic tool of advertising to fund the little homes! This way when a company seeks the rental of a billboard site, the funds allocated to it, serve as a maintenance step for the homes within the billboard. This is a great idea to help the homeless have a home, comfort and warmth as well as have a billboard which generates money and has the purpose of advertising and promotion of products, all at the same time. 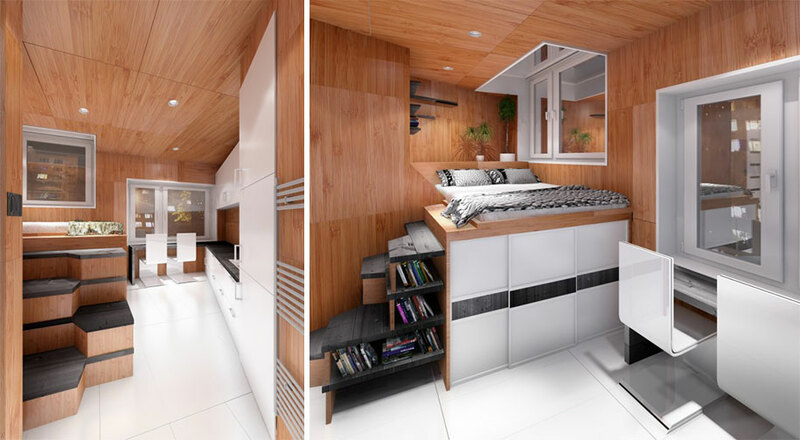 Luxuriously designed to have a penthouse feel, yet compact, practical and functional in every way! Entering the little home is as easy as climbing a steel ladder stairway. http://www.frontseat.co.za/wp-content/uploads/2015/09/frontseat-logo.png 0 0 mulalo siminya http://www.frontseat.co.za/wp-content/uploads/2015/09/frontseat-logo.png mulalo siminya2014-12-10 10:45:002014-12-10 10:45:00A Mini Billboard Suite, For The Homeless. 20 Honest Logos Be A Hero For The Kids!